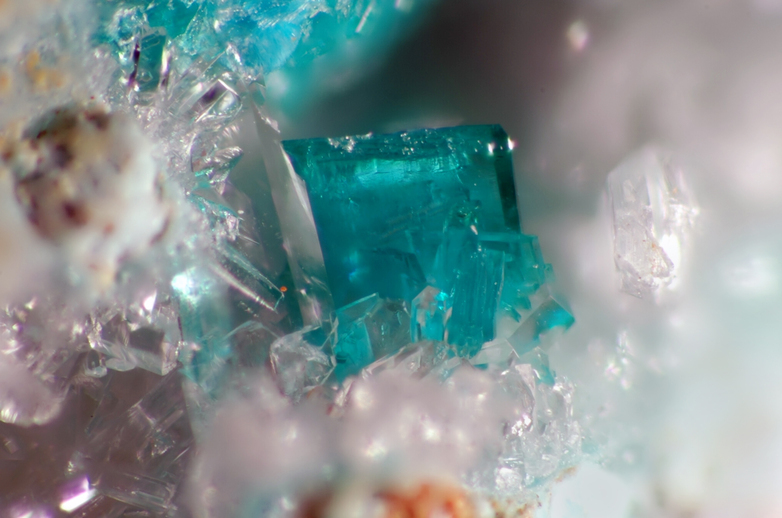 Ktenasite: Mineral information, data and localities. 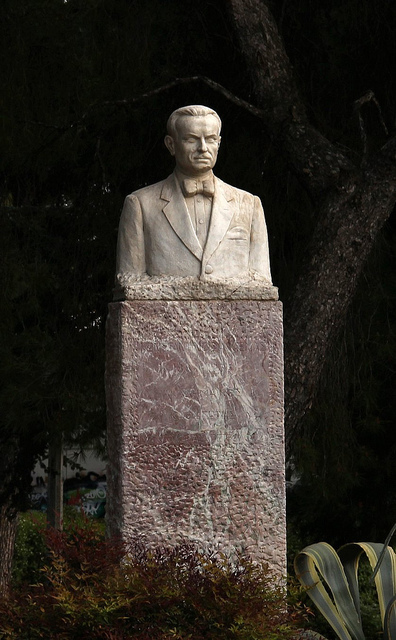 Named by P. Kokkoros in 1950 after Konstantinos I. Ktenas (1884-1935), Greek physician, professor of mineralogy and petrology (since 1908) and Dean (1918) of the National and Kapodistrian University of Athens, Director of the Museum of Mineralogy and Paleontology and of the Zoological Museum of the University (1918), Head of the Greek Geological Survey and one of the founding members of the Academy of Athens (1926). Rare secondary copper-zinc sulphate with typical pseudo-orthorhombic habit. Mg- or Cd-bearing varieties are also known (U. Kolitsch & G. Giester, unpublished results), as well as a Zn-dominant analogue (Unnamed (Zn-analogue of Ktenasite) ) and a Zn-free, Co-dominant analogue (Unnamed (Co-analogue of ktenasite)). Ktenasite may have to be split up into a Cu- and a Zn-dominant species; the crystal structure contains a Zn site, a Cu site and a mixed Cu/Zn site with variable occupancy (U. Kolitsch & G. Giester, unpublished results). Data of Livingstone (1991) suggest dominant Zn on at least two sites, although this suggestion is based only on chemical analyses. 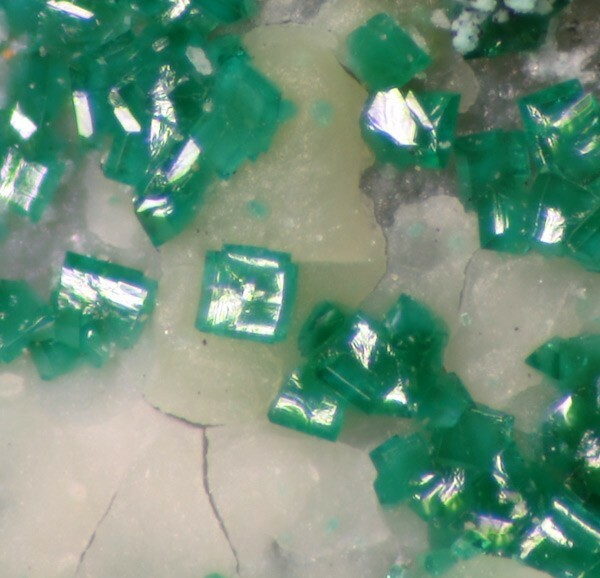 A joint proposal on the complex nomenclature of ktenasite-type minerals is in preparation (Leverett, Sciberras, Williams, Kolitsch, Giester, Hibbs et al., 2009-2018). Serpierite 22 photos of Ktenasite associated with Serpierite on mindat.org. Gypsum 20 photos of Ktenasite associated with Gypsum on mindat.org. Zincowoodwardite 4 photos of Ktenasite associated with Zincowoodwardite on mindat.org. Niedermayrite 3 photos of Ktenasite associated with Niedermayrite on mindat.org. Devilline 2 photos of Ktenasite associated with Devilline on mindat.org. Conichalcite 2 photos of Ktenasite associated with Conichalcite on mindat.org. Calcite 2 photos of Ktenasite associated with Calcite on mindat.org. Bianchite 1 photo of Ktenasite associated with Bianchite on mindat.org. Johannite 1 photo of Ktenasite associated with Johannite on mindat.org. Smithsonite 1 photo of Ktenasite associated with Smithsonite on mindat.org. Kokkoros, P. (1950): Ktenasit, ein Zink-Kupfersulfat aus Lavrion (Griechenland). Tschermaks Mineral. Petrogr. Mitt. 1, 342-346. (in German). American Mineralogist (1951): 36: 381. Raade, G.; Elliott, C.J. & Fejer, E.E. (1977): New data on Ktenasite. Mineralogical Magazine 41, 65-70. American Mineralogist (1977): 62: 1262. Mellini, M. and Merlino, S. (1978): Ktenasite, another mineral with 2[infinity][(Cu,Zn)2(OH)3O)]- octahedral sheets. Z. Kristallogr. 147, 129-140. Olsen, E. and Lewis, C. F. (1979): Ktenasite from Creede, Colorado. Am. Mineral. 64, 446-448. Mellini, M., Orlandi, P. and Boscardin, M. (1981): Chemical and crystallographic data for ktenasite. Rend. Soc. Ital. Mineral. Petrol. 37, 409-414. Sarp, H., Perroud, P. & Camerola, M. (1990): Cobalt nickel-kténasite de la mine de Cap Garonne (Var), France, nouvelle variété de kténasite. Schweizerische mineralogische und petrographische Mitteilungen: 70, 333-335. (in French). Courtney, S. F. and Rodgers, K. A. (1990): Ktenasite, (Cu2+,Zn)5(SO4)2(OH)6.6H2O – a further occurrence. N. Jb. Mineral. Mh. 1990, 320-326. Livingstone, A. (1991): The zinc analogue of ktenasite from Smallcleugh and Brownley Hill mines, Nenthead, Cumbria. J. Russel Soc. 4, 13-15. - Gol, D, Martaud, A., Meisser, N. & Chollet, P. (2010): Minéralogie des Malines, Gard. Le Règne Minéral, HS XVI, 49-88. Previously analysed by H. Sarp, ang never seen still... Recently (2016) re-discovered by Y. et J.-M. Vessely and XRD analysed by Michel Blondieau at "Laboratoire de minéralogie, université de Liège (B)"
SARP H., PERROUD P. and CAMEROLA M. (1990) Cobalt nickel - kténasite de la mine de Cap Garonne (Var), France, nouvelle variété de kténasite. Schweiz. Mineral. Petrogr. Mitt. 70, 333 - 335. Verein der Hegauer Mineralienfreunde (1983) Rezente Mineralbildungen in den Schlacken ehemaliger Erzverhüttung. Mineralien-Magazin, 9/1983, 411-413.; Schnorrer-Köhler, G. (1986) Neue Minerale von der Schlackenhalde der ehemaligen Zinkhütte Genna in Letmathe/Sauerland. Der Aufschluss, 37(2), 55-67.; Bender, D. and Krimmelbein, W. (1994) Aktuelle Übersicht: Mineralien der Zinkhütte Genna/Sauerland. Stand Juni 1994. Mineralien-Welt, 4/94, 10. J. Gröbner und U. Kolitsch (2002): Neufunde von Laurion aus den Jahren 2001 und 2002. Aufschluss 53 (5-6), 363-371; Kolitsch, U., Rieck, B., Brandstätter, F., Schreiber, F., Fabritz, K. H., Blaß, G. & Gröbner, J. (2014): Neufunde aus dem altem Bergbau und den Schlacken von Lavrion (I). Mineralien-Welt 25 (1), 60-75 (in German). Blaß, G., Fabritz, K. H., Mühlbauer, W. and Prachar, I. (1998): Immer wieder Neues aus Lavrion. Mineralien-Welt 9 (2), 46-48 (in German). ; Hanke, H. (1998): Laurion - ein Rückblick auf die Funde der letzten drei Jahre. Mineralien-Welt, 9 (2), 37-45. M. Ohnishi, et al. 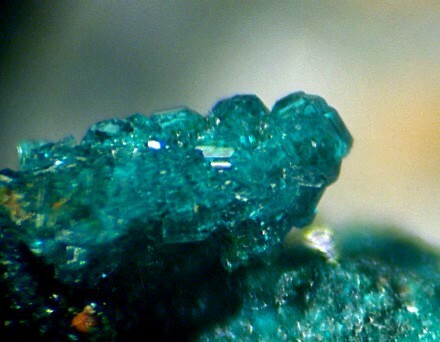 (2002) Ktenasite from the Hirao mine at Minoo, Osaka, Japan. Journal of Mineralogical and Petrological Sciences, 97, 185-189. Raade et al. (1977): New data on Ktenasite. Mineralogical Magazine 41, 65-70 ; Neumann (1985), p. 112. Stalder, H. A., Wagner, A., Graeser, S. and Stuker, P. (1998): "Mineralienlexikon der Schweiz", Wepf (Basel), p. 243; American Mineralogist 88(4), 676-685.; - Meisser, N. (2012): La minéralogie de l'uranium dans le massif des Aiguilles Rouges. Matér. Géol. Suisse, Sér. géotech. 96, 183 p.
ⓘ Brownley Hill Mine (Bloomsberry Horse Level) ? Anthony, J.W., et al (1995), Mineralogy of Arizona, 3rd.ed. : 269; Graeme, R. (1993), Bisbee revisited, Min.Rec. : 24: 421-436. Anthony, J.W., et al (1995), Mineralogy of Arizona, 3rd.ed. : 368. Kampf, A.R., Mills, S.J., Nash, B.P. (2016): Pauladamsite, Cu4(SeO3)(SO4)(OH)4·2H2O, a new mineral from the Santa Rosa mine, Darwin district, California, USA. Mineralogical Magazine, 80: 949-958.; Paul M. Adams (2017) The Santa Rosa mine, Inyo County, California. Mineralogical Record 48: 755-777.